Immediate intensive hydration to help soften and strengthen the skin’s own protective barrier. Excellent for use as a complement to daily skin care regime. 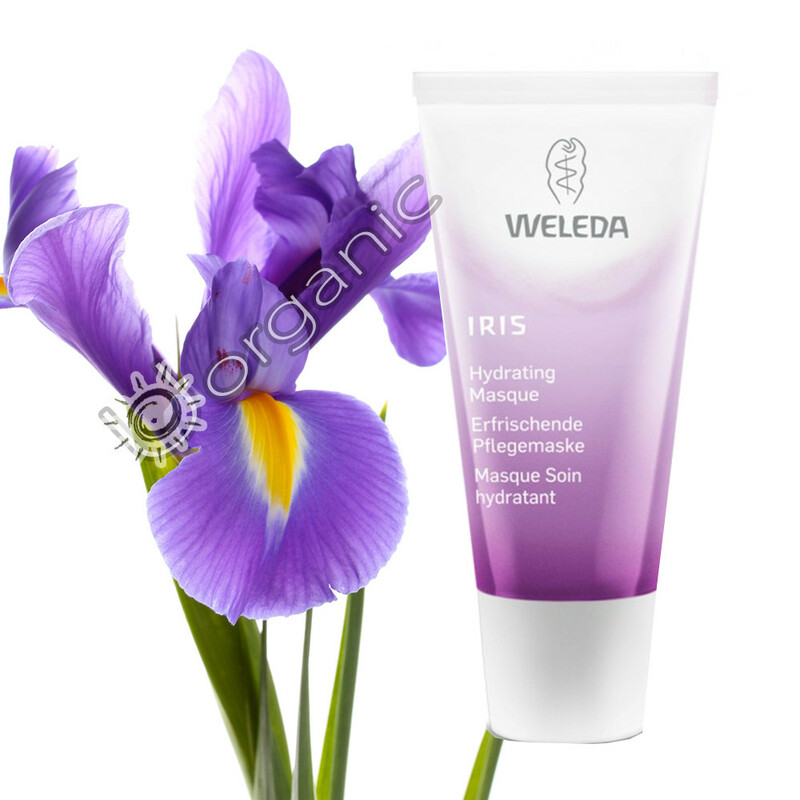 Weleda Iris Hydrating Masque contains iris root extract and cucumber extract to help the skin to retain its optimal moisture level while also cooling and soothing the skin. High quality almond oil and jojoba oil soften and strengthen the skin’s own protective barrier so that the skin is better able to withstand future dehydration. Usage: Apply once or twice a week to cleansed skin. Apply a 1-2mm layer to the face, neck and décolletage, avoiding the eye and lip area. Allow to work for 15-20 minutes. The Masque does not dry and tighten. Gently remove with cosmetic tissues or cotton wool pads or rinse with clean lukewarm water. Ingredients: Water (Aqua), Glycerin, Alcohol, Hamamelis Virginiana (Witch Hazel) Distillate, Prunus Amygdalus Dulcis (Sweet Almond) Oil, Glyceryl Stearate SE, Lysolecithin, Simmondsia Chinensis (Jojoba) Seed Oil, Algin, Cucumis Sativus (Cucumber) Fruit Extract, Iris Germanica Root Extract, Betula Alba Bark Extract, Hectorite, Fragrance (Parfum)*, Limonene*, Linalool*, Citronellol*, Geraniol*, Citral*, Eugenol*.